Concrete consists primarily of cement, sand, gravel and water. As the water in the slurry evaporates, the remaining ingredients cure into a hard slab. This curing process causes the concrete to shrink slightly, resulting in cracks. Cracks in poured concrete are common, and are usually the result of either shrinkage in the concrete, or normal settling of the foundation. 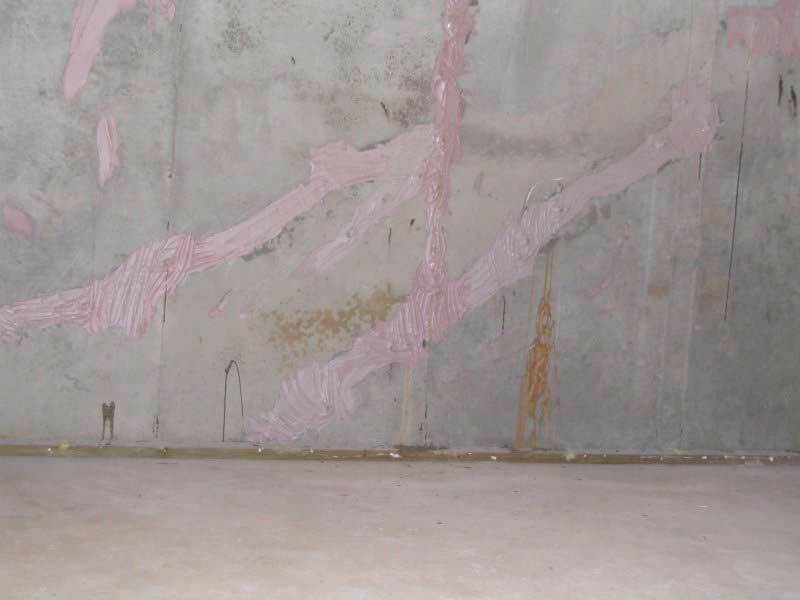 In such cases, foundation repair can be simple and cost-effective. 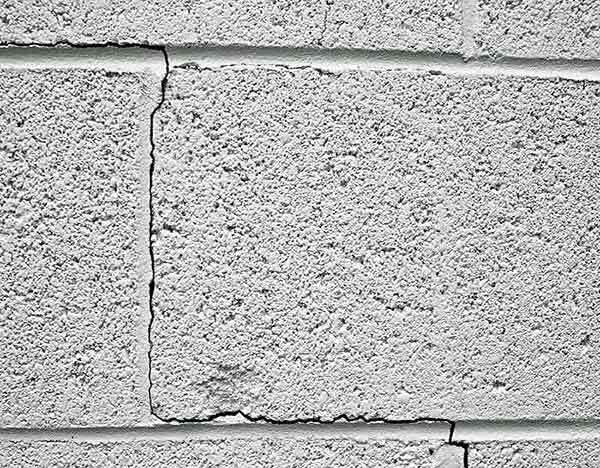 While foundation cracks can be caused or aggravated by improper building practices, most wall cracks pose no threat to the structural integrity of your foundation. The biggest problem caused by cracks is leakage. 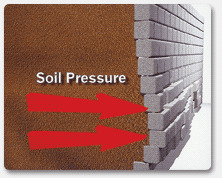 Water from the surface or the ground enters the crack and trickles through the wall, causing leakage in the basement. 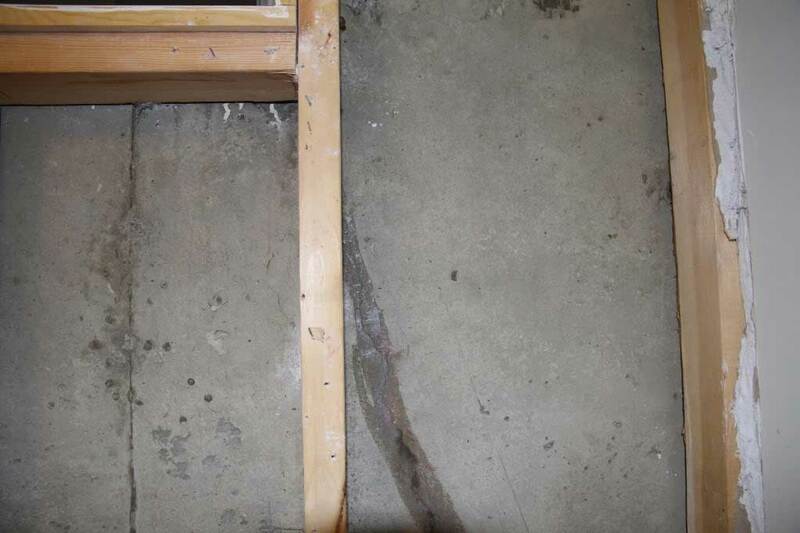 Foundation repair is one of the best ways homeowners can take care of their houses. To keep your home in tip-top shape, it is a good idea to know how to deal with foundation problems. As we have been taught, a good foundation is the key to a strong house. And a beautiful, valuable home in which you can live peacefully, trouble-free, and comfortably, is indeed a worthy goal. 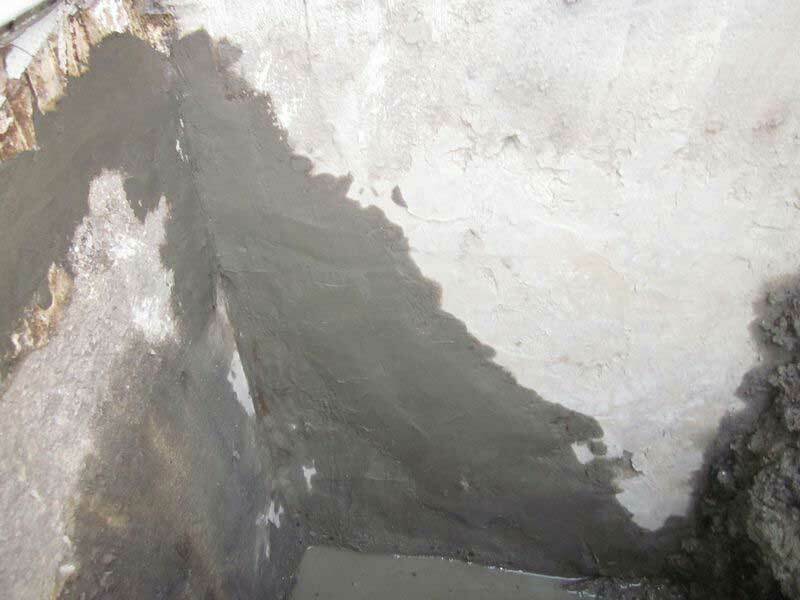 One popular and effective way to go about foundation repair is to use a technique called underpinning. This technique basically prevents your foundation from sinking further into the ground. There are quite a variety of underpinning options available, each one with its distinctive uses, advantages, and disadvantages. As with any serious house repair, it's best to consult with an expert before performing any of these repairs yourself. Concrete underpinning is used for heavier structures. This method drives a hollow container into the ground and fills it with concrete, which then solidifies and bolsters the weak soil underneath. The concrete ensures a rock-solid layer supporting the foundation, and it can save structures from sinking further into the ground. 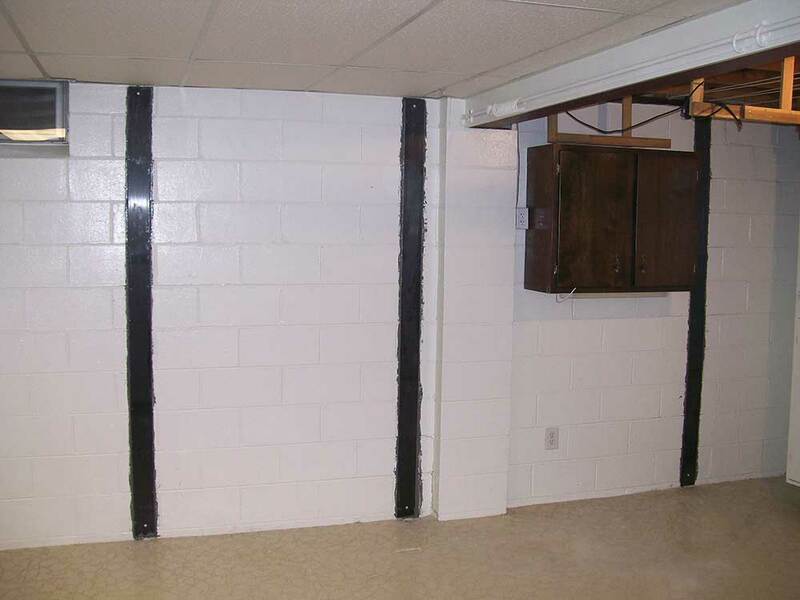 Wall anchors are one option for deteriorating basement walls. 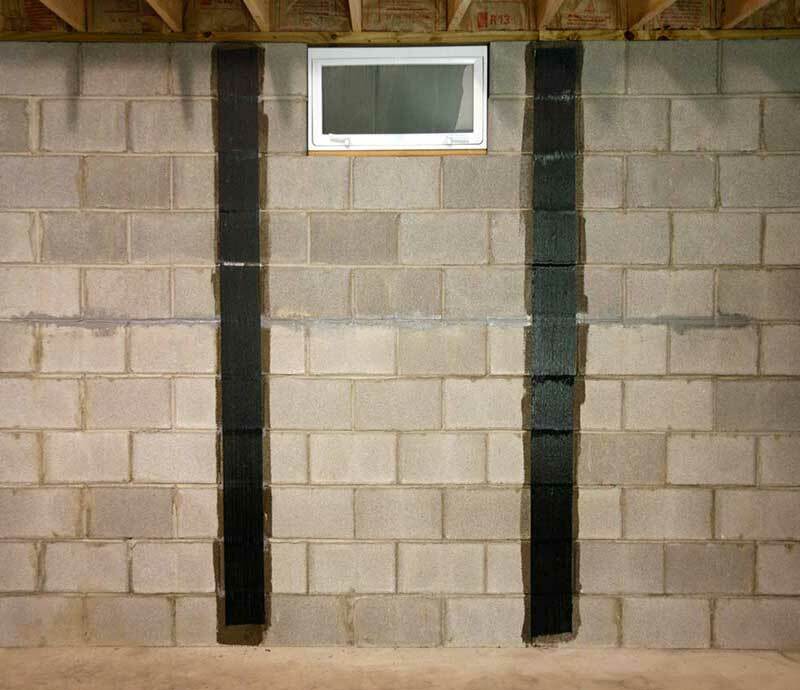 Anchors can stabilize and support cracking or bowed basement walls. To install wall anchors, technicians install metal plates on the damaged walls. They drive a steel rod through the plate, to the earth outside. It attaches to another steel rod drilled in the ground to anchor it. The advantage is that you don't need to pay for a new wall. While this method sounds very extensive, and is, 3 Brothers Waterproofing aims to make this method, as well as the other methods listed below, as simple and easy for the homeowner, as possible. We don't like nerve wracking affairs, and can only pass along this same courtesy to our customers. Sometimes walls (specifically older stone foundations) deteriorate quite heavily. Doing patch work and painting and whatnot is sure-fire recipe to make redoing your basement walls a family tradition. However, if you want to fix these degrading walls on a more permanent basis, this is where roughcasting comes in. Firstly, the walls are scraped and sanded down to being as flat and level as possible. Then vapor barrier is applied to the surface of the wall, to contain the moisture from the outside. On top of the vapor barrier, we apply a wire mesh that we attach to the wall with Ramset nails, assuring it will not come off. Then a skim coat of CFP Fiber cement is applied to the wall as the first and second coat, make sure to dry thoroughly, and any settlement cracks touched up, and then finally, a finish coat is applied to the wall, and if we didn't know any better, we would think that you just had a brand new foundation poured! V-grooving cracks is a method utilized for small to moderate interior wall cracks. It's pretty straightforward: First, we will expertly chisel out the crack to make it a little wider than it is. Why would we make the crack larger, you may be asking? Well, if we break down the area around the crack, we will be one step ahead of the game as far as knowing if there were to be some unsound and loose pieces of foundation which may (and most likely will) end up cracking even more, causing that same crack to reopen, possibly even worse than before, regardless of what was used to patch it. But with v-grooving, we chisel out the area, making sure there are no loose pieces in the foundation, and then cement (2 coats if necessary) the crack back up, level with the rest of the wall. Epoxy is a VERY strong adhesive that is used in many cement based projects. 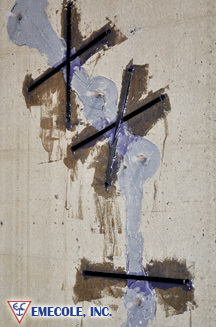 2 different adhesive chemicals are pushed out through a specialty epoxy gun into a crack, and when the 2 chemicals bind with each other, it forms an impenetrable and unbreakable adhesive, which is used to hold the crack together. Generally, epoxy injections are very effective at cracks that are fairly narrow, and do not allow moisture in through them. Epoxy is not thoroughly moisture resistant, and over time, tha epoxy will start to come out of the crack, and more injections will need to be done. 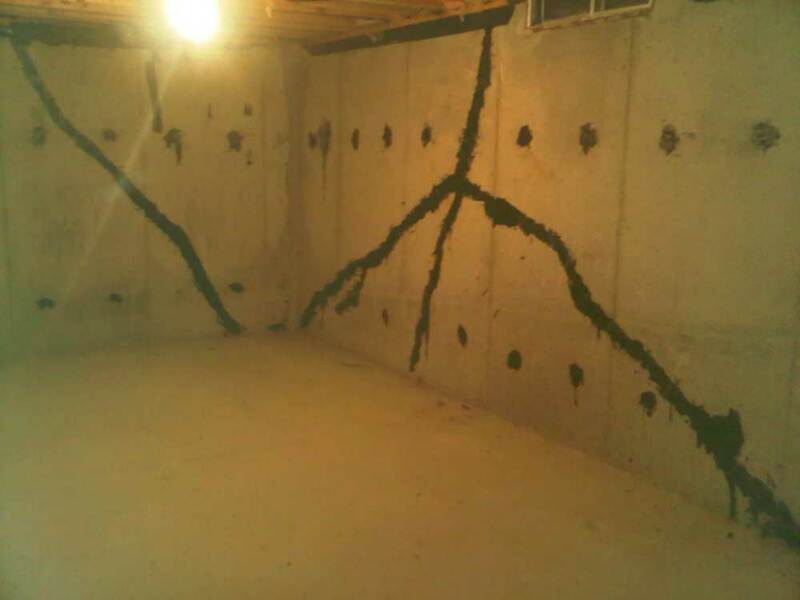 Epoxy injections are not considered a permanent fix for foundation cracks, but when done properly, with the proper planning and know-how, can be an effective method for keeping foundations crack-free. Hydraulic cement is very similar to regular cement. 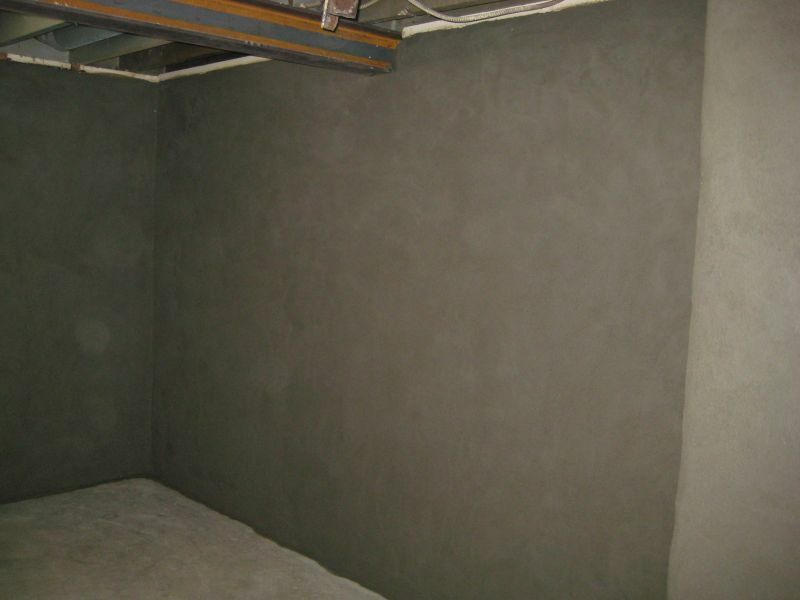 There are 2 main exceptions: Firstly, hydraulic cement is extremely fast drying / curing. Secondly, hydraulic cement is techincally waterproof, meaning that it can stop water from coming in. Hydraulic cement cannot be used to stop water penetration in large, heavy-flowing areas. This type of cement is mainly used for small cracks and minor pinholes in foundation walls, to keep water from trickling in. 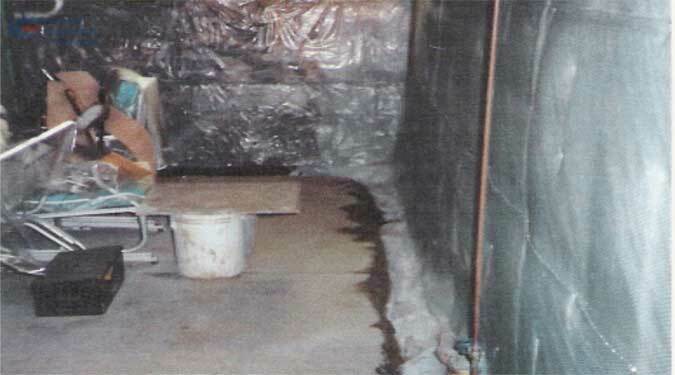 It is unwise to make hydraulic cement your number one product when looking to keep a basement dry and mold free, but when utilized with a legitimate pressure-relief system, as well as applied by expertly trained like at 3 Brothers Waterproofing, hydraulic cement can certainly be a welcome material in a waterproofing and mold remediation project! 3 Brothers Waterproofing is one of few companies in the area that is a supplier of HJ3 Composite Technologies Carbon Fiber Straps. These kevlar-made carbon fiber straps are some of the strongest foundation stabilization materials we have ever worked with. After being expertly trained in the HJ3 install methods via a required training seminar in Arizona, 3 Brothers Waterproofing engineers continue to be the authority in installing these durable, secure straps. But what are they? Carbon fiber straps are tough and tenacious straps applied directly over-top of foundation cracks with a very specific formulation of adhesives and various materials, and it prevents the crack from opening more, spreading, worsening the structural integrity of the foundation, etc. Basically, these carbon fiber straps are a "set-it-and-forget-it" type of system. Very similar to rebar used to large-scale construction concete jobs (bridges, industrial foundations, etc), wall pins and staples are used in a similar fashion to carbon fiber wall straps. Also utilized for moderate to severe foundation cracks, wall pins are inserted into the foundation, through the crack, coming out of the crack on either side, all while remaining level within the wall, so that the basement may still be finished, if desired. 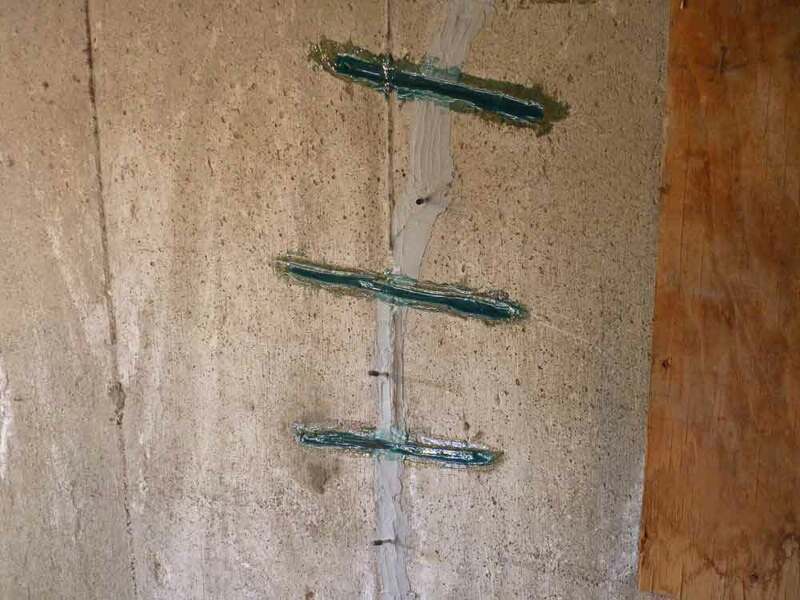 Multiple wall pins and staples are generally used on a single crack, regardless of the size of it, because, again, permanent foundation stabilization is the ultimate goal. 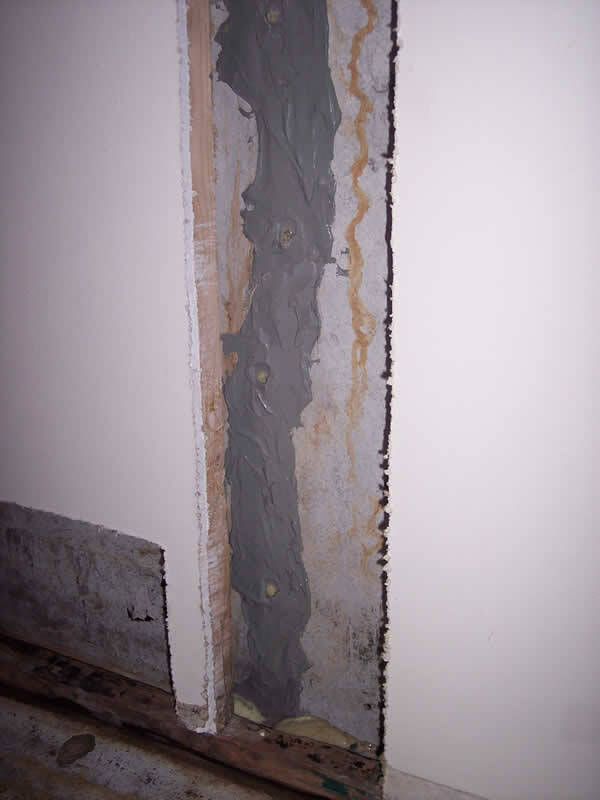 Vertical cracks are the main culprit in receiving wall pins, as horizontal cracks will not be prevented from spreading with wall pins, due to gravity.